The Lakin HRC Celebrates 20 Years! Holocaust scholar Geoffrey Megargee, Ph.D., was at Albright College to lecture on "The Universe of Nazi Camps and Ghettos," the subject of his groundbreaking research. 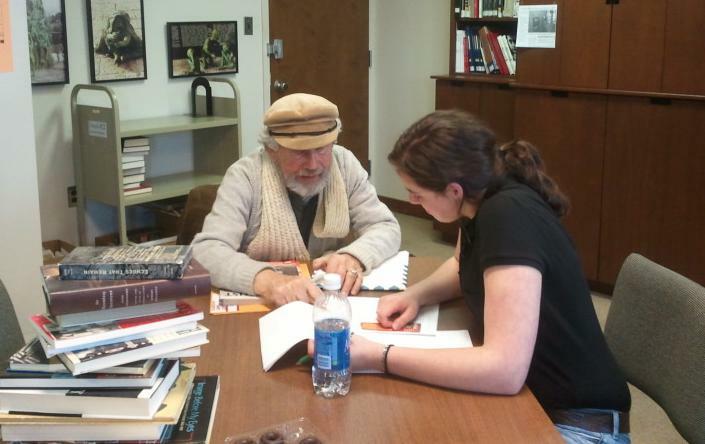 Holocaust survivor, the late Eugene Abramowicz, formerly of Berlin, Germany, reviews Holocaust artifacts with the Center's former intern, Penn State Berks student Lacey Lott.